Human, hobbit or ape? This elusive 'short man' has been spotted throughout history on South Pacific islands. It's Bigfoot's tiny cousin. Local tribes have left it gifts of tobacco for centuries. The hairy creature appears more intelligent than other large apes. Its face, especially its nose, seems almost human. 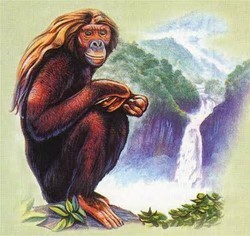 The inhabitants of Sumatra are surprised that Orang Pendek is considered a legendary cryptid by the rest of the world. They've seen it too often to even doubt its existence. This 3ft high primate is the South Asian cousin to the Yeti of the North, or the Sasquatch of North America. Some scientists are determined to prove that it's there. Richard Freeman is a British zoologist (and cryptozoologist). 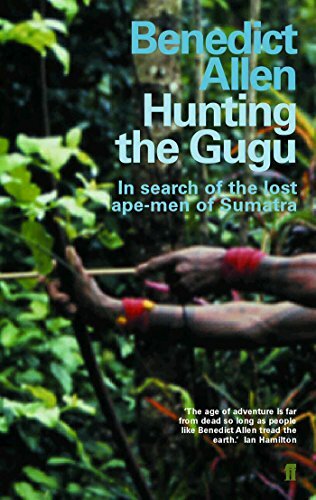 He has undertaken seven expeditions to Sumatra and remains convinced that Orang Pendek is real. The fascinating thing about Littlefoot isn't that it might be an 'undiscovered' ape, but that it might be a species of human. One of the most common reports from a sighting is about the face. Eye-witnesses talk about the eerie sensation of a human being looking right back at them. These are people who know the difference between a human being and an ape. Their island is also home to the Sumatran Orangutan. Many dismiss Orang Pendek as being a mistaken glimpse of that great ape instead. But Littlefoot isn't red. It's not even vaguely orange. Accounts habitually talk about short brown fur, turning grey as they get older. Except for the head. The Orang Pendek has a mane of long, flowing hair there, just like a human being. But they are strong, so very strong compared to us. They might be short, but their muscular prowess is more akin to that of a chimpanzee. The tough rattan vines can be snapped in two in their hands. They can uproot small trees. Much of this power derives from their broad shoulders and long arms. While slender in all its aspects, it is extremely sturdy and robust. It is also bipedal, with the small, dainty feet that have given Orang Pendek the moniker of Littlefoot. They are said to be the size of a human child. Footprint casts and photographs have revealed the requisite five toes. But the big toe is divergent, like the thumb on a human hand. But most of all, people return to that face. In 1923, Dutch farmstead settler Mr Van Heerwarden seemed to speak for all, when he said, "There was nothing repulsive or ugly about its face, nor was it at all apelike." And yes, he had seen an orangutan, gibbon and sun bear. He knew the difference. Sumatra is the largest island in Indonesia. It is nestled between Malaysia and Singapore in the North and Australia in the South. Is Littlefoot a Surviving Homo Floresiensis? Sumatra is in the same country as the Island of Flores. Only a narrow strip of ocean separates them. 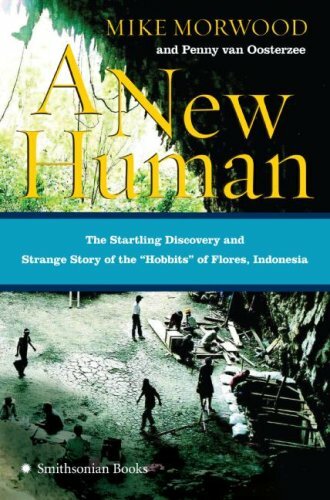 In 2003, a team of Australian and Indonesian archaeologists were working together on the Island of Flores. Their goal was to find evidence that Homo sapiens passed this way in antiquity. What they actually found stunned the scientific world. A whole new species had to be added to the Hominidae family; and they were part of the genus Homo. In short, Homo floresiensis had been human. 12,000 years ago, they had lived in the same world as our own ancestors. Their faces were remarkably similar, as the reconstruction image demonstrates. But there were differences too. They stood only three to four feet tall; and some of their bone structure was more akin to our evolutionary cousins, the chimpanzees. The more that was revealed about the nine Homo floresiensis skeletons, the more cryptozoologists, Sasquatch hunters and the people of Sumatra nodded knowingly. The scientists were describing Orang Pendek. Littlefoot not only appeared to be in the fossil record, but the location was telling too. Flores is very close to Sumatra. It's also just north of Australia, where the junjudee sightings have long been thought to chime with Orang Pendek too. 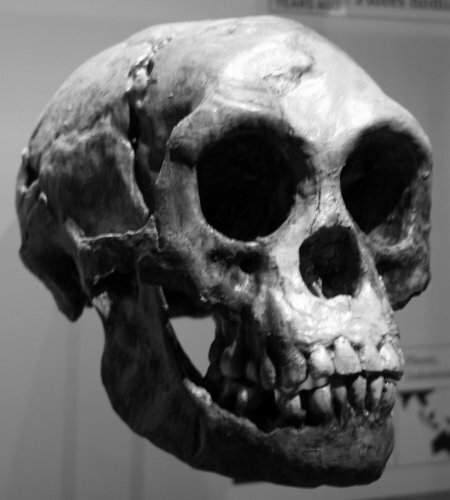 It is all an intriguing possibility that Homo floresiensis is not extinct. If so, then Homo Sapiens are not the sole surviving human race. It is this which concentrates the mind upon Sumatra and Australia alike. 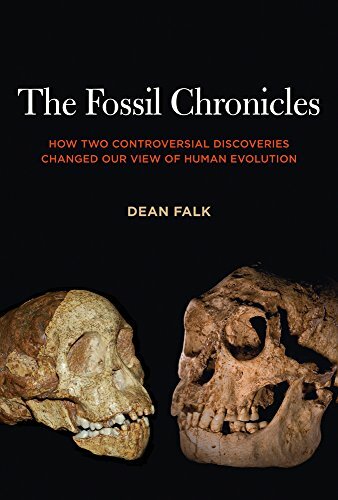 Buy these studies to learn more about this recent (and possibly still surviving) branch of the human race. Do you Think that Littlefoot Could be Homo Floresiensis? These guys are there, no doubt. But won't be for long given the extent of jungle burning in Sumatra to clear the land for palm oil plantations. I'm in Singapore and the haze from their jungle fires is so bad we don't see the sun... Peope of good will and caring for our environment protection, of species like this poor small foot, Sumatran Tiger, Sumatran Elephant I'm not even talking about people who have to live in haze for months should put a stop to it by declaring a moratorium to all and any agricultural products originated from Indonesia. Coz governments don't do a thing about it. If gibbons, orangutan and human beings can live there, then why not Littlefoot too? Most of the recent sightings of Littlefoot have occurred in and around central Sumatra. This is the Taman Nasional Kerinci Seblat (Kerinci Seblat National Park), an area of lush, dense rainforest. Farmers on the outskirts have seen Orang Pendek launching raids on their crops. They carry off corn, potatoes and fruit. Within the forest, wild yams and mushrooms are reportedly gathered. The creatures are omnivorous, picking up logs to snack on the insects found underneath. They have also been spotted moving in small hunting groups, killing their prey with axe-like weapons. Finally, witnesses have reported Littlefoot sightings along the rivers. They fish there, with a favorite meal being river crabs. The elusive Orang Pendek can survive, largely unseen, amidst that dense foliage. Other large primates can too, notably orangutan, gibbons and humans, as well as hunting mammals such as the Sumatran Tiger. They are all indigenous to the island. The actual talk starts at 3.37. 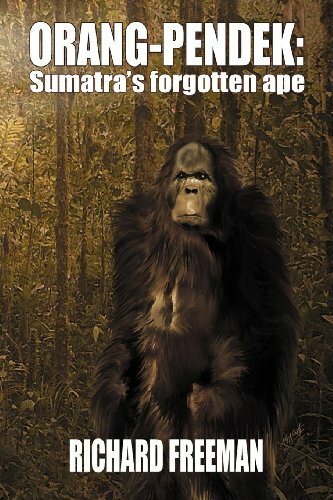 It's an hour long lecture by a leading cryptozoologist in the hunt for Sumatra's Littlefoot. 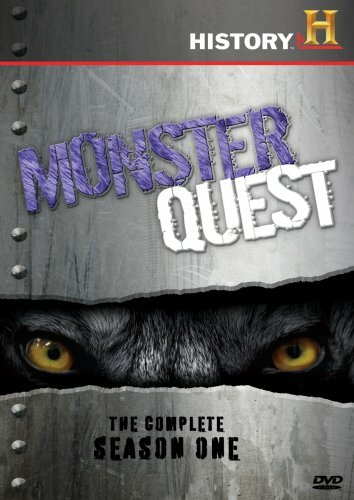 The team from Monster Quest took to the jungle of Sumatra. Adam Davies and Jeff Holden camped with their guides for eight days. They were in a remote, volcanic area, known for Orang Pendek sightings. In an attempt to find evidence of the Littlefoot, they took with them hi-tech equipment. These included camera traps and pheromone tags, designed to attract primates. Waiting to examine their evidence were academics from Cambridge University in England and the University of Idaho in the USA. Their findings were broadcast in Season One, Episode 12: The Real Hobbit. 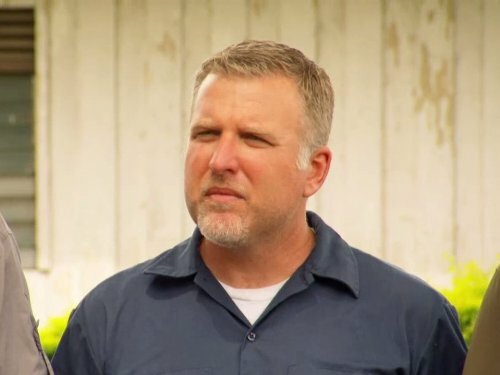 The Finding Bigfoot team have also traveled to Sumatra. Their own hunt for Littlefoot was shown in season four. OMG! Is that Bigfoot? No. It's just you in your new, hair-raising Sasquatch outfit. Perfect for trick or treating, parties and scaring tourists in the woods. Are You Prepared for the Zombie Apocalypse? We all know that it's coming. The internet has been talking about an infestation of zombies since about 2008. But are you ready? These secretive humanoid creatures have been seen all over North America. You will need to be prepared, if you want your own sighting. Whistling great apes; a methane stink; childcare research; and bizarre chattering in the middle of the night. These are just some of the hallmarks of this hairy giant. I thought so too. I could actually believe in Littlefoot. The evidence seems to point more towards it being there than not. Very interesting, I had not heard of this before! Good point! It would be better for them all round if they just stayed out of our way. I would love to think a whole genus of undiscovered primates exists out there. Mind you, when you look at how humans have managed to drive others to near extinction is it better they stay undiscovered? My friend has started me in a whole Bigfoot/Sasquatch obsession. I keep disappearing off little known trails in researching it all for fun! In short, blame Paul (http://wizzley.com/authors/Paul/). Wow. Where do you find this stuff? Fascinating! I want to know if they found it. Has proof of Sasquatch been uncovered in a laboratory in the USA? Dr Melba Ketchum found human ancestry coupled with an unknown DNA in hair samples. The Civil War Battlefield of Chickamauga is haunted by a tall, hairy, bipedal creature with eye-shine. That sounds more like Bigfoot than the ghost of its own legend.